Khesh City floats above the surface of the uninhabitable planet of Vellern. Topside, it's extravagant, opulent, luxurious; the Undertow is dark, twisted and dangerous. Khesh City is a place where nothing is forbidden - but it's also a democracy, of sorts, a democracy by assassination, policed by the Angels, the elite, state-sponsored killers who answer only to the Minister, their enigmatic master. Taro lived with Malia, his Angel aunt, one of the privileged few, until a strange man bought his body for the night, then followed him home and murdered Malia in cold blood. Taro wants to find the killer who ruined his future, but he's struggling just to survive in the brutal world of the Undertow. Then an encounter with the Minister sets him on a new course, spying for the City; his target is a reclusive Angel called Nual. Elarn Reen is a famous musician, sent to Khesh City as the unwilling agent of mankind's oldest enemy, the Sidhe. To save her own life, she must find and kill her ex-lover, a renegade Sidhe. 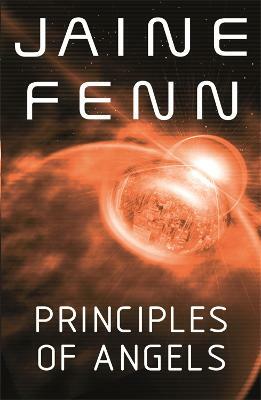 Jaine Fenn studied Linguistics and Astronomy at university before embarking on a career as an IT consultant. She is the author of the Hidden Empire books PRINCIPLES OF ANGELS, CONSORTS OF HEAVEN, GUARDIANS OF PARADISE, BRINGER OF LIGHT and QUEEN OF NOWHERE. She lives with her husband in Hampshire. You can learn more at www.jainefenn.co.uk, or by following @jainefenn on twitter.